If you are looking for information on the Stretch-n-Grow franchise business opportunity, Stretch-n-Grow franchises or Stretch-n-Grow franchising, then you have come to the right place. 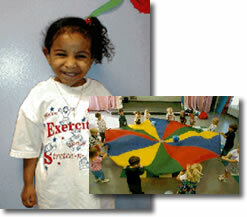 Stretch-n-Grow offers Exerciting programs for kids from as young as 18 months to over seven years old. Each Stretch-n-Grow coach is a certified youth fitness specialist and has only one passion - to show our Stars an Exerciting time! 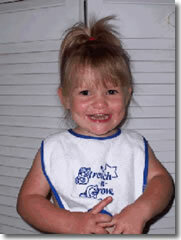 Stretch-n-Grow is a comprehensive fitness program for kids. We are committed to helping educators and parents establish a foundation of exercise and proper nutrition at an early age. The Stretch-n-Grow program teaches children the fundamentals of a healthy lifestyle. With weekly emphasis on exercise and good food choices, our extensive curriculum covers virtually every wellness issue. The program was conceived in January of 1992 by Jill and Bob Manly with a plan to conduct classes on a local level only. Today, our network of Certified Fitness Professionals teach over one hundred thousand children every week in more than 100 cities across 11 countries. The Highest Ranked, Home-Based Children's Fitness Franchise!! As a business opportunity, Stretch-n-Grow offers a turn-key operation with proven results. If you want to have fun, work with kids, and stay fit, you'll want to Stretch-n-Grow with us. We provide training at our headquarters in Florida, marketing assistance, an extensive curriculum, and on-going support. As a Stretch-n-Grow affiliate, you'll have the opportunity to build an excellent full-time income with flexible part-time effort. Ownership offers adequate structure for a first-time entrepreneur to get started, as well as a business that encourages you to use your own creativity and participate in helping children live better lives. A commitment to fitness and a love of children is all you need to Stretch-n-Grow. 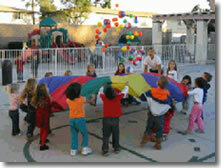 A specially designed fitness program for pre-school children. Forty-five minute classes taught once per week by you or your part-time "coaches." A fully developed curriculum endorsed by fitness and child development experts. Covers topics such as exercise, sportsmanship, safety, nutrition and hygiene. Your revenue is derived from the children's enrollment fees. A low investment with extremely low overhead. A home-based business that can be managed full-time or part-time. Allows for tremendous growth potential. Do you believe in the importance of children's health and fitness? Are you enthusiastic, organized, and creative? Are you motivated to develop and manage your own business? Do you want to own a business that can really make a difference? A proven business concept and "turn-key" operation. Exclusive territory of 50 child care centers. Intensive 3-day training in Seminole (Tampa Bay), FL (or on-site). Comprehensive training and promotional materials. Monthly newsletter and program updates. Unlimited access to a 1-800 # "help line." Access to other Stretch-n-Grow Affiliates nationwide.